(Subheading: At-large and not in charge) The May 18, 2010 Longmont City Council meeting was excruciating and embarrassing. I suggest every citizen slog through the video of it, either online or from the library, for examples of what is wrong with government. To be fair to members of council, it was mostly just one person. No, not the screaming from the podium during Public Invited To Be Heard, as bad as that was. It was Councilmember Sarah Levison’s actions and demeanor, which was about the worst I’ve ever seen in all the years I’ve watched these sessions – and that’s saying a lot. Ironically, it was Ms. Levison who pointed out that the public has “very, very little confidence in national and state government” (1:33:30), which of course is lead by her own Democratic Party leaders. She did all she could to destroy what little confidence citizens have in local government as well with some of her antics. A fairly basic rule of decorum is to speak only after called upon by the chair of the meeting, in City Council’s case that would be the Mayor. Ms. Levison repeatedly talks over others and speaks out of turn during these meetings (2:34:16), and has been reprimanded for it (2:35:38). At this meeting though she did something I’ve yet to see: she tried to block a councilmember from seconding a motion. (1:09:15) She cried “But I was next in line with the mic, can someone just shout out a second?” Mayor Baum reminded her she does it all of the time, as do all council members. But regardless of her place in line, no speaker “has the mic” until they are recognized from the chair. She’s done this long enough on other boards, there’s no excuse for this. She was upset that council was going to go through the Election Committee’s recommendations for changes to the Longmont Fair Campaign Practices Act (LFCPA) one by one, and give each recommendation either a thumbs up or thumbs down vote. In a brazen show of hypocrisy and double standards, she complained about “picking items out that we want to vote on immediately”, forgetting this is exactly what she and the previous council did in 2009 when they made disastrous changes to the LFCPA (1:35:35). She also must forget all of the “last minute” changes she attempted to make to the city budget after first and second readings and public hearings. Next, she wanted to invoke Section 4.8 of the City Charter (1:31:15) for an obscure and rarely used provision to form an “ordinance revision committee”. Other council members rightly pointed out that during the process of amending the LFCPA in ‘09, when she was in favor of those changes, there was no request of this committee (1:35:35). This was obviously a stalling maneuver, a filibuster if you like, but it was also much more than that. She wanted to take the policy decisions from the elected City Council members and place it in the hands of a 3 person group of unelected individuals (1:40:20). This would take the important discussion that should be open to the public and place it in a back room, more than likely untelevised. This proves any and all calls by Ms. Levison and her fellow travelers for transparency to be a total sham, at least when it doesn’t serve their purposes. When council voted to end the Election Committee’s role as judge and jury, which in reality was mostly a self-serving kangaroo court, Ms. Levison drew comparisons to the “Saturday Night Massacre” and President Nixon’s search for someone to fire a special prosecutor (2:11:30). Seriously, this is the kind of tripe you miss when you don’t watch these meetings. 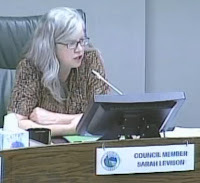 When it was clear Ms. Levison was going to lose every argument, she went into what can only be described as a tantrum and lashed out at city staff. Our City Clerk’s Office does a great job of posting all election related reports quickly. Ms. Levison wanted to put it in the LFCPA ordinance that the clerk will have reports online within 24 hours, which is done anyway. Is this to assume that there will be penalties and fines on the City Clerk if it’s an hour or a day late? (2:31:00) This may seem far-fetched but it’s not. The LFCPA was written to lay out the rules for candidates, committees, and citizens, including the penalties for wrongdoing. Ms. Levison, by this motion, is adding city staff to the group of those that could face fines and penalties. Keep in mind it’s the City Clerks Office that determines if a violation occurred in the first place! But at this point in the meeting, Ms. Levison was blinded by anger and was barely coherent. Finally, after wasting hours on something that should have taken 30 minutes, she asked that the discussion of the LFCPA end (2:38:48)and be brought up at a later date. In other words, she encouraged the punting the previous council was famous for, and that voters wanted to see stopped. Unbelievably, there’s even more that occurred at this meeting, and you should watch it for yourself. The main takeaway from it is this: Sarah Levison showed herself to be a spiteful and angry politician who can’t govern when she doesn’t get her way. She owes citizens an apology for her abhorrent behavior, but don’t hold your breath. Her baby, the amended LFCPA, has rightly been defanged by a federal judge, citizens, and now the city council. All candidates supporting the changes to the LFCPA were soundly defeated in the ’09 election; as they say “the voters spoke”. 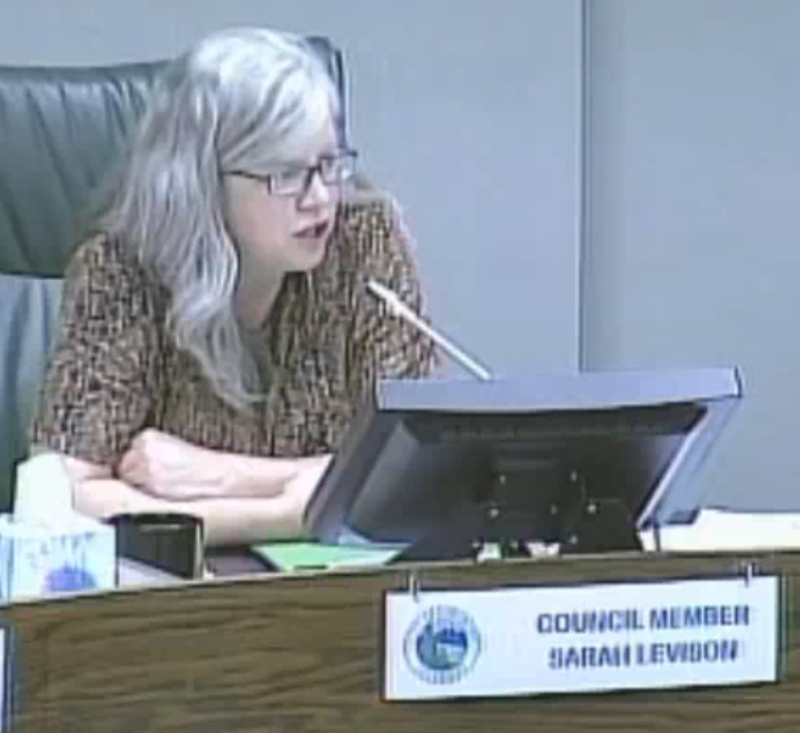 If Ms. Levison cannot act professional and show the slightest bit of decorum, she should resign immediately. She will be up for reelection in 2011, or a rumored run for Mayor. Either way, she’s yet another example of what’s wrong with Longmont and should not remain on council in any capacity. That was truly a strange meeting where it almost appeared that Sarah Levison was having a breakdown. She tried to introduce a new motion, forgetting that there was still a motion on the table introduced by her! Then, she left everyone bewildered with that rant about Adobe PDF format vs. alternate language about document formats, without being able to give any details. Listening to her long pontifications where she cites her studies, U S Supreme Court cases, and obscure think tanks, I think she truly believes that she is superior to all others on council but has trouble dealing with important decisions that don’t go her away, thus the chaos that we observed. It now appears that at least one of her fellow councilmembers may not have appreciated what she had to say about them and are asking for a reconsideration of her appointment.